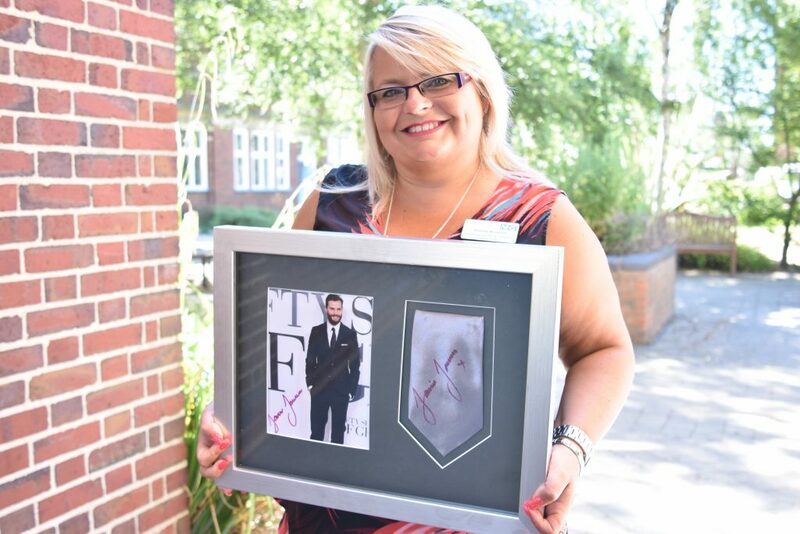 The tie worn by the Hollywood character Christian Grey in the movie 50 Shades of Grey will be up for grabs at Sandwell Hospital’s NHS70 celebrations. The piece of movie memorabilia will be one of the raffle prizes at the hospital’s “Big 7Tea” party held on Thursday July 5 between 10am and 2pm, to celebrate the 70th birthday of the NHS. Money raised from the raffle will go to Your Trust Charity, which helps to improve the patient experience at Sandwell and West Birmingham Hospitals NHS Trust. The tie was donated by the actor Jamie Dornan, who plays Christian Grey, to Consultant Gynaecologist Gabrielle Downey, who is good friends with his dad. Tickets to win the tie, which has a letter of authenticity, along with a hamper, will be available at the party held in the Courtyard Garden, at the West Bromwich hospital. There will also be food including cakes, sandwiches and samosas, entertainment, and stalls from various specialities. A special exhibition of old photographs and artefacts will also be on show open to patient, visitors and members of the community. Meanwhile City Hospital will play host to a Unison-funded celebration on July 5, where there will be a holiday raffled off. The prize will be for Unison members only, however, there will be other gifts available to everyone, including a watch, chocolates and a bottle of wine. The City party will provide entertainment for children, and there will be music from a steel band. A huge variety of food and refreshments will also be available between 11am to 4pm. Johnny Shah, Head of Your Trust Charity, said: “Two wonderful events are taking place at our hospitals and we want to celebrate such a momentous occasion with our community, through our patients, their families, and staff. “At Sandwell, the event will not only mark the 70th birthday of the NHS, but also raise funds for the charity. The proceeds will go towards improving patient experience across the Trust. “Raffle tickets to win both the tie and the hamper will be sold at the event at Sandwell, but there will also be an opportunity to win the tie through a JustGiving page. Meanwhile, libraries across Sandwell will exhibit old photographs taken at the hospitals, over the coming months – with the first display taking place on Friday, July 6, at Tipton Library between 10am and 4pm. Some of the photographs date back to the 1920s. If you are unable to attend the party, but want to be in with a chance of winning the tie, go to https://www.justgiving.com/campaigns/charity/swbh/nhs70 to find out more.